Constructed in 1936 as a Public Works Administration project, this building also formerly served as a U.S. Customs Office. 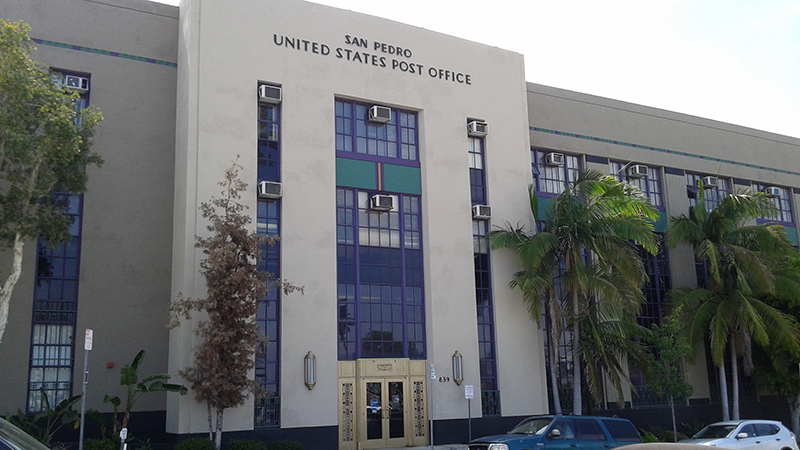 It is an example of the WPA Modern style of architecture, a conservative or classized Art Deco. The extensive use of marble, bronze and milk glass are indicative of the period. The floor tile laid in a basket weave pattern surrounded by black marble gives the effect of rugs on a marble floor. Several of the original bronze lamps and ink wells survive at the public writing desks. The mural over the wall at the south end of the building depicting the harbor area’s heritage, was also a WPA project. The building has recently undergone a major refurbishment.